Does Microsoft have a secret weapon for Windows Phone 7? Microsoft got a lot of attention yesterday for its Oprah-style announcement that every employee would get a Windows Phone 7device after the new mobile platform launches this fall. As it turns out, those freebie phnes aren’t just expensive toys or gadgets. They’re part of an effort to create some unexpected hits and seed the market using the energy from Microsoft’s enormous pool of internal developers. 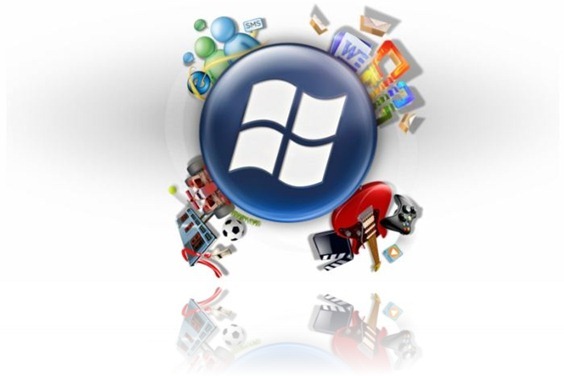 WP7: application developers in the queue? We need to re-enforce the cool apps that we’ll have ready when WP7 is launched. In a move that has totally delighted me, Microsoft is giving every employee the ability to write and deploy WP7 applications (and, what, ability to get a device at launch, too?) - wow! Now’s the time to truly show off your stuff and write for WP7 and get your app out the door. There are a lot of very smart developers at Microsoft, and they should be able to crank out interesting little apps like the ones that have made the iPhone so successful (the Android platform show slots of promise inthis regard too). In fact, this is part of the Microsoft playbook that goes way back. Back around the turn of the century, from Windows 98 to early XP days, Microsoft employees did some very cool little freebies that were officially distributed (with plenty of disclaimers) at Microsoft.com. Remember Windows Powertoys and Tweak UI? They went away, by decree, long ago, just before Windows XP Service Pack 2 came out. You can still download them from this Microsoft.com page, but the ones I checked haven’t been updated since 2003 or 2004. Among enthusiasts and IT pros, these underground tools were insanely popular. They were also free. Ten years later Apple has proved that smartphone buyers will pay good money for apps, and apps keep a platform fresh and alive. Microsoft has the opportunity to create some app superstars overnight by letting employees develop for Windows Phone 7 and sell through its store. I can even imagine a promotional program in which Microsoft gives new Windows Phone 7 buyers 5 bucks worth of credit at the Marketplace to buy apps. The lion’s share of the proceeds should go straight to the developer, even if it’s a Microsoft employee. The company could even pay a bonus for apps that became category leaders, getting great ratings and high downloads. With the company’s stock flat-lined for the last decade, I suspect most Microsoft employees would jump at the chance to make a few extra bucks. A talented developer whose day job involves tweaking the Windows TCP stack might be able to produce an amazing game. Someone working for the Xbox team mght have a killer idea for a video editor. I’ll bet Mark Russinovich could do an astonishing set of phone-centric tools and utilities a la Sysinternals. You never know until you turn them loose.